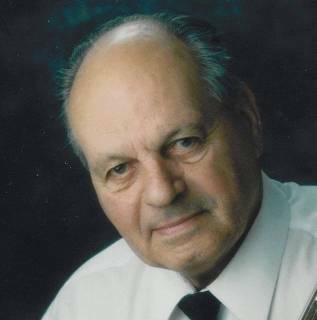 Edwin Keith Blackmon, age 85, of School Street, Killbuck, New York died suddenly, July 11, 2011 at Olean General Hospital, Olean, New York. Born on June 20, 1926 in Salamanca, New York he was the son of the late John & Myrtle Barry Blackmon. He was married in Great Valley, New York on May 19, 2007 to the former Shirley Smith Case who survives. Previously, he had been married to the former Margaret Field who predeceased him on October 6, 1995. Mr. Blackmon served in the U. S. Navy from 1944 to 1946 in Delaware and New Jersey. He was employed in the lumber industry for over 40 years and was employed at the former Fancher Furniture Company, Ethan Allan, Jamestown Table Top, and Salamanca Lumber. He retired for the last time in September 2010. Keith was a well known Musician in this area and was accomplished on the guitar, banjo, keyboard, and piano. He volunteered at 5 area nursing homes with his band which included his twin brother, Edward Blackmon, Ernie & Stella Weller, and Edward Wagner. Along with these volunteers were a square dance group that also performed for the nursing home residents. One square dance at each session included a wheel chair dance that was performed by the square dancers and the residents in wheel chairs. This dance was created by Keith. Keith completed a square dance book with 317 square dances with instructions for each dance. Keith also played with Jack Harter's Band and created his own band called "The Happy Faces". He gathered a large collection of sheet music. He developed many sing-a-long books for volunteers/participants. He completed a genealogy of his family that dates back to 2 passengers on the on the Mayflower , Thomas Rogers and Richard Warren. He was the Volunteer of the Year for the Cattaraugus County Dept. of Aging for 2005. He was a member of the American Legion Hughes-Skiba Post #535 and the Veterans of Foreign Wars John F. Ahrens Post #5296. Surviving besides his wife are: his children, Maurice Patterson, Bradford, PA., Kirk (Joyce) Blackmon, Washington, N.C., Matthew (Terri) Blackmon, Washington, N.C., Debra (Ken) Summers, Columbia, S.C.; 7 grandchildren; 4 great grandchildren;8 step children; 20 step grandchildren; 11 step great grandchildren; a brother, John (Bernice) Blackmon, Rochester, New York. He was predeceased by a twin brother, Edward Blackmon in 2009. Friends may call on Thursday from 3-5 and 7-9 P.M. at the O'Rourke & O'Rourke Inc. Funeral Home, 25 River Street, Salamanca, New York. Funeral services will be held in the funeral home on Friday at 11 A.M. with Pastor William McNeil, of the 7th Day Adventist Church, Olean, New York, officiating.